often those, who loves tea, I do not think about, that in some cases tea party can be very harmful for the body. should know, as for the usual tea, there are certain contraindications and rules his drinking. First of all, measure is necessary in the number and strength of the tea consumed daily, even completely healthy person. After all, it contains some trace elements, which may provoke potassium leaching from the body, increase bone fragility, destroying the calcium and zinc. Also tea destructive effect on folic acid, It slows down the absorption of iron, which could adversely affect pregnancy or anemia. 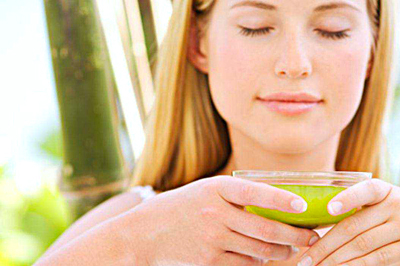 The tea, especially in the green, a lot of caffeine, do not get involved in his strong infusion, especially people problems with the cardiovascular or nervous system. 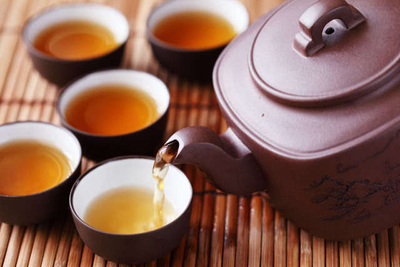 Big strong tea consumption can provoke "Tea intoxication", which is also no good will, especially young or suffering from chronic diseases of the body. Strong tea, drunk at night, will not allow to relax the nervous system, cause headaches and insomnia. You can not drink too hot or too cold tea, it will provoke stomach problems. Not helpful so strong tea, who suffers from a stomach ulcer and gastritis. If you long to make tea, without removing the tea leaves, that all the nutrients begin to decompose, oxidized. This applies to any kind of tea, but especially black tea, brew to be no more than 10 minutes, then be sure to strain the tea leaves and throw. For green and red tea may be repeated brewing, depending on the variety. This ban is due to the fact, that when boiled tea infuser of alkaloids produced very toxic compound - guanidine, destructive effect on the body. As long stood tea all the nutrients are decomposed, and harmful bacteria, conversely, perfectly reproduce in nutrient medium. Yesterday's tea - this is truly a poison snakes, both figuratively called his wise Chinese. That's why we should not forget about some of the rules and contraindications while drinking tea, then from his drinking will only benefit, not harm. What utensils needed for brewing tea? The green tea is harmful? How to brew and drink tea of ​​the match (Matti)? How to brew tea yellow?